Foxconn says today it will build a factory and provide jobs in Wisconsin. Production issues with the iPhone X caused Apple’s biggest supply partner to suffer its biggest decline in profits in nearly a decade. Hon Hai Precision Industry Co., aka Foxconn, posted its latest earnings today and disappointed investors by posting a 39 percent decline in net income compared to the same quarter last year. Delays in the production of the iPhone X were the main culprit in Foxconn’s sinking profits. Foxconn is Apple’s sole assembler of the iPhone X, whereas the with the iPhone 8, Foxconn splits the assembly duties with a number of other Apple partners. Apple held the launch of the iPhone X in November due to issues making the components for Face ID’s True Depth sensor. The iPhone 8 launched in September when Apple traditionally ships new iPhones, but demand the iPhone 8 and iPhone 8 Plus wasn’t high enough to prop up Foxconn’s profits. Competition from Chinese smartphone makers Huawei and Vivo also helped spoil Foxconn’s quarter. The two growing companies assemble their own devices instead of relying on companies like Foxconn. 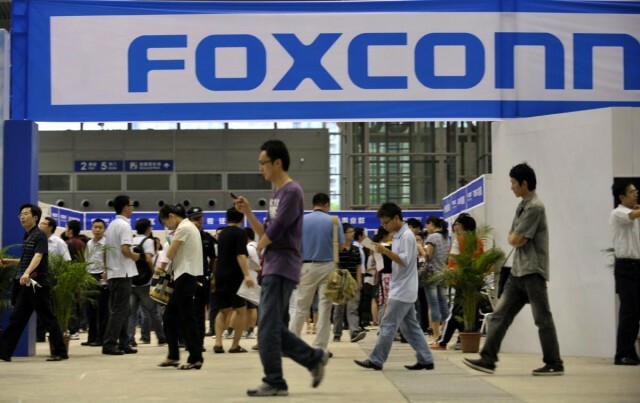 Foxconn shares were trading down nearly 1% in Taipei after the earnings report. This holiday quarter could more than makeup for Foxconn’s historically bad Q3 though. Apple is predicting to bring in a record $87 billion in revenue during the holiday quarter thanks to the strong demand for the iPhone X.